In a large saucepan, bring rhubarb, 1/3 cup sugar and orange juice to a boil. Reduce heat; cook and stir until thickened and rhubarb is tender. Set aside. In a small bowl, combine cracker crumbs and butter. Press onto the bottom of a greased 9-in. springform pan. Place on a baking sheet. Bake at 350° for 7-9 minutes or until lightly browned. Cool on a wire rack. In a large bowl, beat cream cheese and remaining sugar until smooth. Beat in the sour cream, white chocolate, cornstarch, vanilla and salt until smooth. Add eggs; beat just until combined. Pour half of the filling into crust. Top with half of the rhubarb sauce; cut through batter with a knife to gently swirl rhubarb. 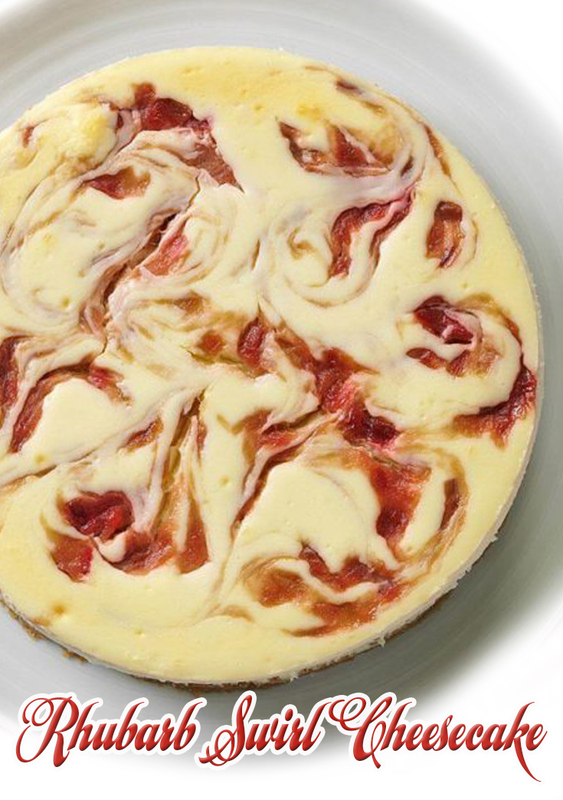 Layer with remaining filling and rhubarb sauce; cut through top layers with a knife to gently swirl rhubarb. Place pan on a double thickness of heavy-duty foil (about 18 in. square). Securely wrap foil around pan. Place in a large baking pan; add 1 in. of hot water to larger pan. Bake at 350° for 60-70 minutes or until center is almost set. Cool on a wire rack for 10 minutes. Carefully run a knife around edge of pan to loosen; cool 1 hour longer. Cover and chill overnight. Refrigerate leftovers.